So there was already a Largest Planet thread, but that was with ALL planets. I thought it was fun to hunt down big terrestrial planets, like how fun it was to hunt giant stars. 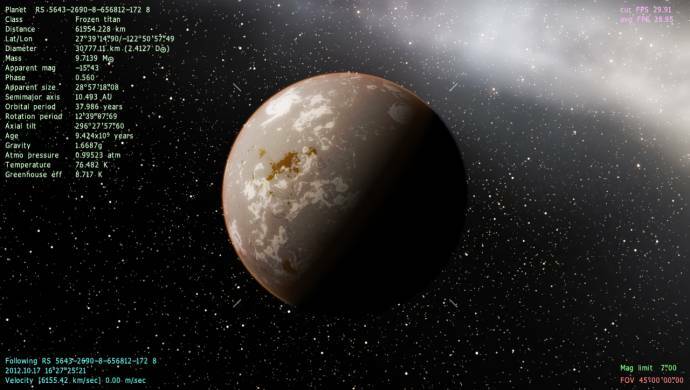 But huge terra planets, IMO, are more hard to find, because their size can be so varied. 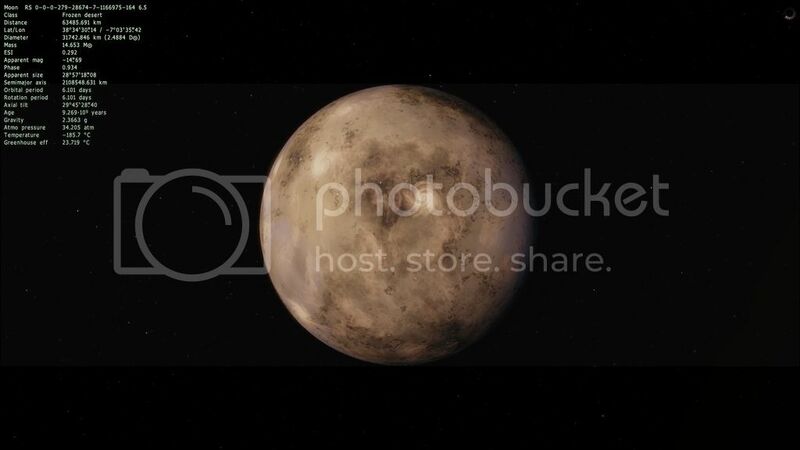 So for the posts, just post a screencap of your planet with the HUD so I can see it, and if it beats any records, I'll put in in the opening post. I'll put the 3 largest in the OP. 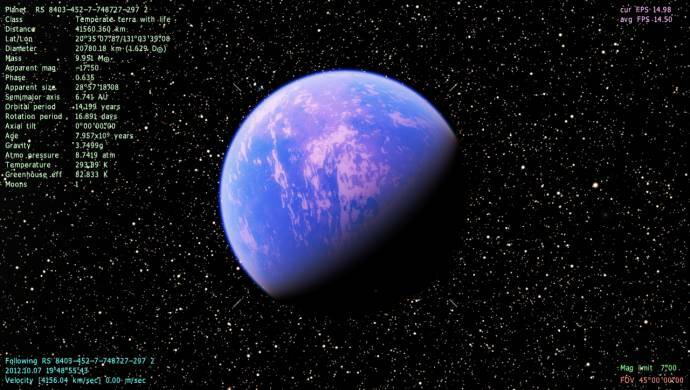 Also, make sure the planet is PROCEDURAL. Catalogs do not count. By the way, if you find any Selenas that beat records, post that too. I didn't add that to the list because I haven't seen any Selenas with a diameter above 20k. So there was already a Largest Planet thread, but that was with ALL planets. It got derailed with discussion about brown dwarfs though, mainly because the largest 'planets' (aside from a jupiter with a puffed out atmosphere) turned out to actually be brown dwarfs. Anyways, while this one is actually smaller than those two, it's got yours beat in mass (almost 10 earth masses!) and gravity. It doesn't have all that much water, which would partially explain it's high mass, and it probably has a really big core as well. 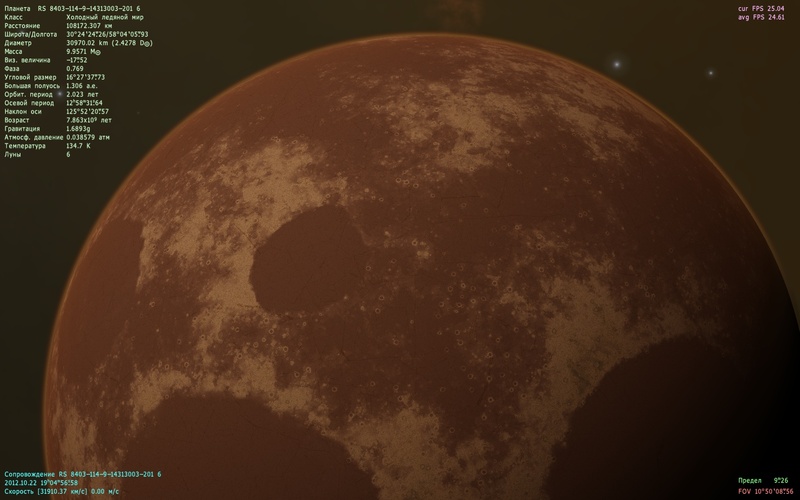 As a subset of this challenge, we could find the heaviest gravity (or largest) world with life on it, and this is just about the heaviest that I have seen. it's got yours beat in mass (almost 10 earth masses!) and gravity. That gravity is ridiculous. I wonder how life would have to adapt on such extremes. Aquatic life should be okay because the water will support them, but on land, it's another matter entirely. Any land life will probably be very low to the ground and whatever supporting material they use would have to be extremely strong. The thick atmosphere could allow for flotation bags though. Whatever evolves there will be alien all right. Here are two big Titans. While I was looking around at planets, I've noticed an odd gap in the diameters, which I'll post on the bug report thread. Nice! I added the second one to the list since it was so big. 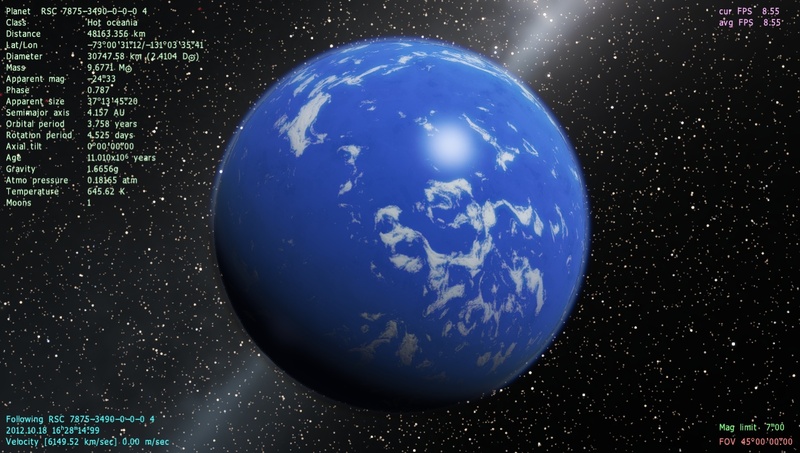 Any planet that isn't a gas/ice giant should count. Here's a big oceania. It doesn't quite make third place, but it's big all right. Edit: It loses the attachment when I accidentially click on preview I guess. What about the smallest? is there a thread for that? If so I have one at my home. Also whats the largest so far, I can't read the KM's on that one. Is it 100,000 KM ? The smallest would be a dwarf planet or moonlet a few hundred kilometers in size, smaller than that are the asteroids. Actually, SE has spherical objects down to a smaller size than they should be, the limit should be somewhere between that of Vesta and Ceres. Space Engineer should fix this IMO. How small a spherical object can be depends on its composition. For example, icy bodies can be spherical at smaller sizes than rocky and metallic bodies. It is also possible for a small object to appear roughly spherical simply by chance, though this would be unlikely. Yeah, I meant mass there (which could also be interpreted as size, but whatever on the semantics), and yeah composition would change things, but in general, there is a point where the mass is enough to pull the object into a sphere. The second sentence was me realizing something and I made a suggestion post about it. I'll leave it up to Space Engineer to decide about what mass an object would be spherical and I actually don't mind the spherical moons a few hundred kilometers in size, I just had a thought about it. Also, the quoting system doesn't work on mobile (iPad in this case) since you can't really highlight stuff, not that it's a major problem anyway. there is a point where the mass is enough to pull the object into a sphere. The difference in mass needed is even bigger than the difference in radius needed. The mass needed for a rocky/metallic body to achieve hydrostatic equilibrium is much greater than the mass needed for an icy body. 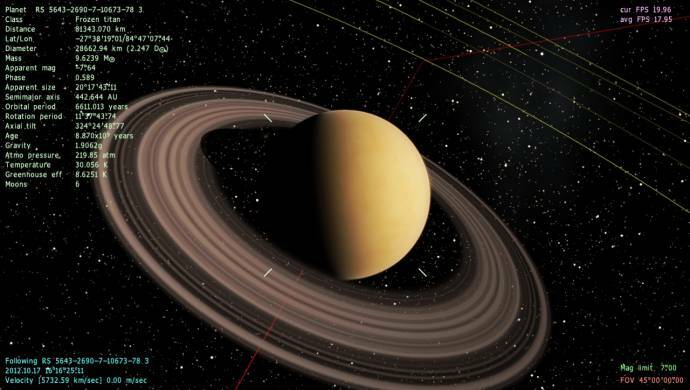 There are many spherical icy objects in the Solar system that are less than 1000 km in radius. By contrast, there are no such rocky/metallic bodies. The smallest known spherical icy body is Mimas, while the smallest spherical rocky/metallic body is Europa, which is more than one thousand times more massive. It is almost certain that a rocky/metallic body smaller than that could be spherical, but none are known to exist in our planetary system. Isn't Ceres rocky too? It's quite a lot smaller than Europa (though still a lot larger than Mimas).